"What makes a film bold an innovative?" Indeed a challenging question. Metrograph Pictures has debuted an official US trailer for the documentary The Competition, which is finally opening in the US later this month. This indie doc originally premiered back in 2016 at the Venice Film Festival, and it also played at DOC NYC, IDFA, CPH:DOX, and a few other major fests. 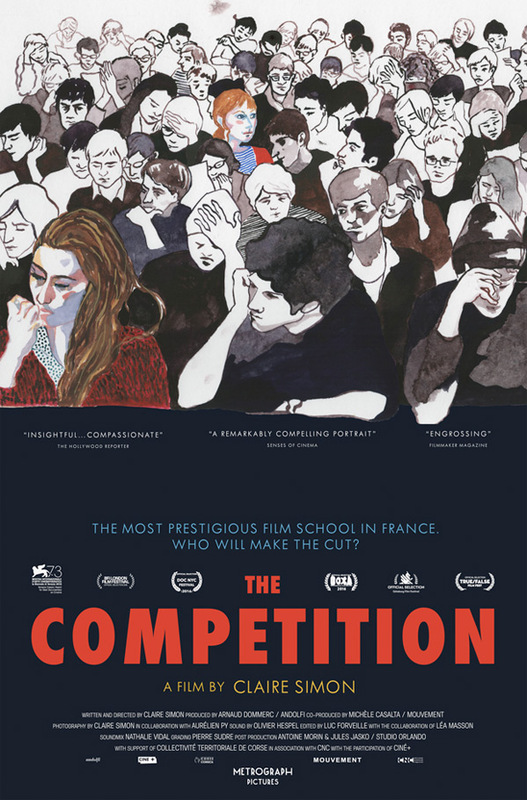 The Competition, originally titled Le Concours, is about the prestigious film school in Paris called La Fémis, where "a specific Republican ideal of excellence is practiced and entry into which can be summed up as follows: 'everyone's equal, but only the best get in…'" The film examines the incredibly challenging admission process, since they only admit 40 students per year, as well as the graduation exams and demanding work inside of the school. Looks like fun! Doesn't it? Enjoy. The Competition begins, significantly, with the image of a locked gate—that of La Fémis, one of the most prestigious film schools in the world, offering hands-on training from working professionals, accepting only 40 students per year from hundreds of applicants. This Wiseman-esque documentary from Simon, one of France’s premiere nonfiction filmmakers, observes the process whereby those lucky forty are selected—a process which is revealed to be highly personal, idiosyncratic, and subject to the vagaries of taste and personal prejudice. Funny, penetrating, and surprisingly suspenseful, The Competition offers not only a unique opportunity to see the inner workings of an institution at the very heart of the French film industry, but an invitation to look at the assumptions and roadblocks that shape any national film industry, and higher education in general. The Competition is directed by French indie filmmaker Claire Simon, of other docs including At All Costs, Mimi, Human Geography, and The Woods Dreams Are Made Of previously. This first premiered at the Venice Film Festival back in 2016. Metrograph will release The Competition at their cinema in NYC starting February 22nd this month, followed by additional theaters.